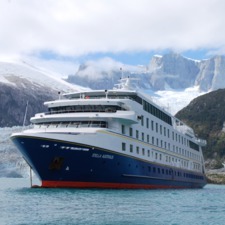 The intimate ships of Australis navigate through the southernmost Patagonian channels in Chile and Argentina. Visiting the Strait of Magellan and the Beagle Channel, these voyages bring you face to face with natural beauty at its most extraordinary. 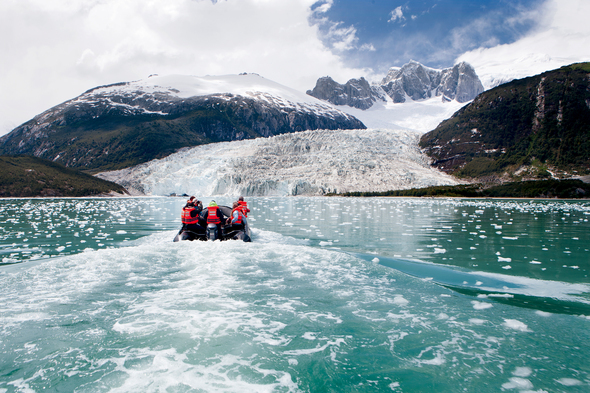 A choice of short itineraries between the southern cities of Punta Arenas and Ushuaia are the perfect option for intrepid visitors to South America in the austral summer (September to April), enabling travellers from all over the world to see the unspoilt beauty of Patagonia and Tierra del Fuego. Travelling in the southernmost reaches of South America can be tricky, because it has an under-developed tourism infrastructure which makes it difficult to see everything you want, especially if you have limited time. On the 210-passengers Stella and Ventus Australis you have expert expedition leaders and 25 years of experience operating in the region. 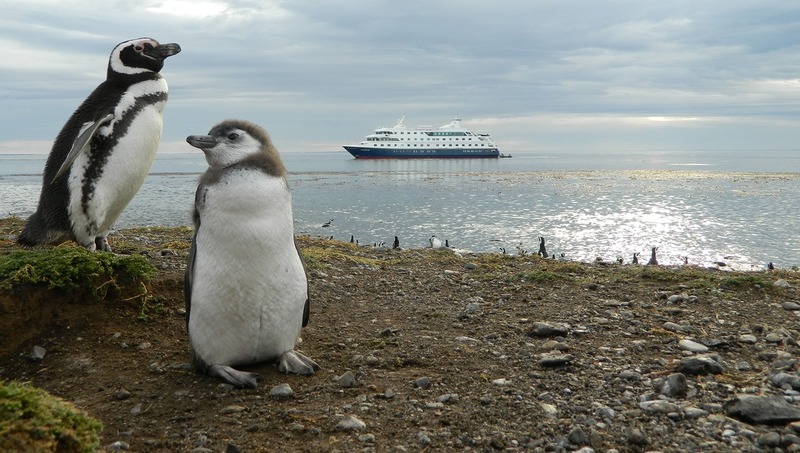 We will help you choose from a variety of itineraries with highlights including a visit to South America's most southerly point, the famous Cape Horn, where you can land (weather permitting), historic Wulaia Bay where Charles Darwin lingered, loads of wildlife viewing including elephant seals, leopard seals, condors, and various species of penguin. 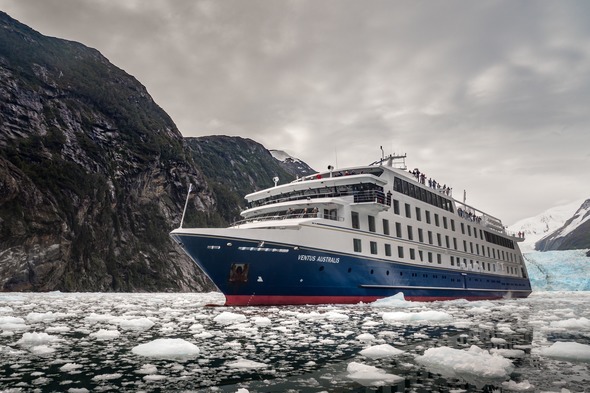 You land in truly remote areas to explore pristine sub-polar forests and secluded beaches, glimpse glaciers and ice fields, and cruise isolated fjords dominated by snow-capped Andean peaks. 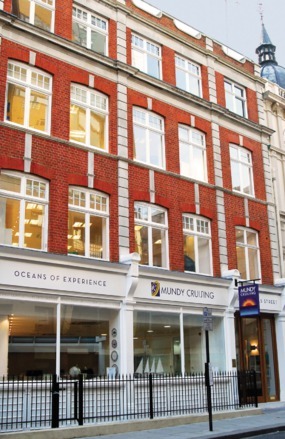 Certain ship operators are inextricably linked with the area in which they operate, with a long history that guarantees you the very best itinerary planning - Australis is your perfect choice in this region. Your Australis expedition will probably be part of a longer trip, as you fly into southern Patagonia from Buenos Aires to Ushuaia, or from Santiago de Chile to Punta Arenas. We will help you plan your itinerary to suit your taste, whether that is for magnificent cities, hiking in the mountains, horse riding in the Chilean lake district, staying with gauchos on a working estancia in Argentina or simply wine tasting in Chile.